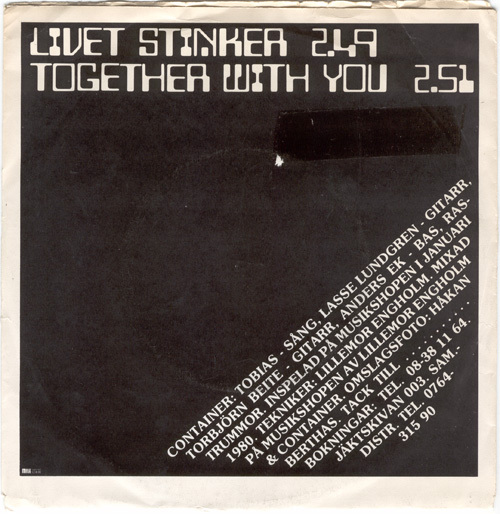 Here’s one of those fine forgotten bands that did the classic one-song-in-Swedish-and-one-song-in-English-on-the-same-7″ that was quite popular in Sweden during the early punk years. 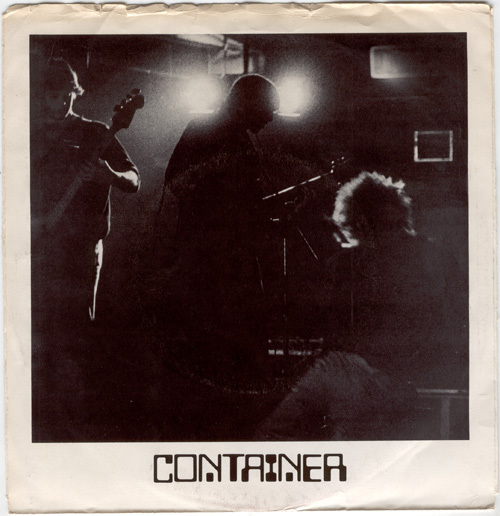 Obviously Container didn’t think two languages was enough when they cut their debut, so they choose two genres as well. Where Livet stinker is great poppy punk with a very catchy aaaaaaaah choir chorus Together with you is more mod pop with a rather odd drum rhythm pattern in the chorus. 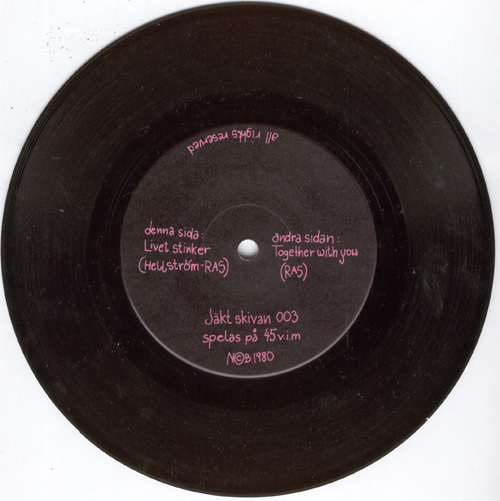 This was the third and last release on Jaktskivan, so I guess the band had some kind of connection to Docent Dod, but how? Anyone who knows anything about this band at all? 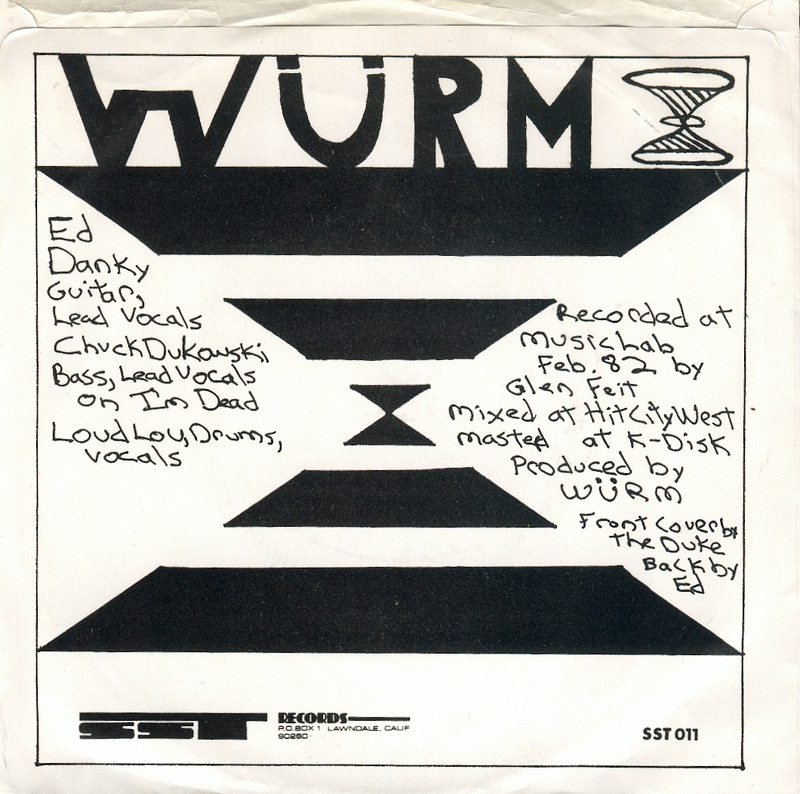 All I’ve managed to figure out is that Lillemor Engholm who produced it had a finger in some more punk records, but I can’t really remember the other ones now. However I did find out that Morgan from Jonstrom (and Morgan) didn’t just record the firsts two Rude Kids 7inches, but also the first Docent Dod. 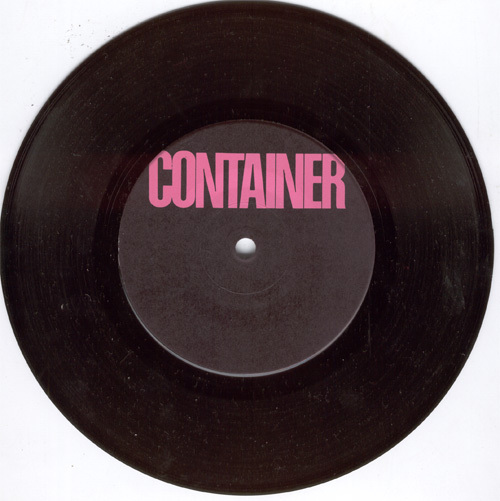 This record belongs in a container….me,no likey. Wow, the a-side is great! Totally original song writing, killer guitar and very melancholic. Superb!